July | 2014 | Wait…So That's What Catholics Believe?!?! I spent this past week on a High School youth mission trip in Champaign, Illinois called Catholic Heart Workcamp (CHWC). 11 people from St. Andrew’s joined up with around 300 other youth and adult leaders from all over the country. We came together to share our faith while helping those less fortunate in the community through acts of service. The morning started off with daily Mass and the evening consisted of praise and worship music, skits, videos and listening to powerful presentations from various speakers. During the day we would go out in small groups to do various jobs. My group got to help a non-profit agency with landscaping and painting homes for senior citizens and foster families. 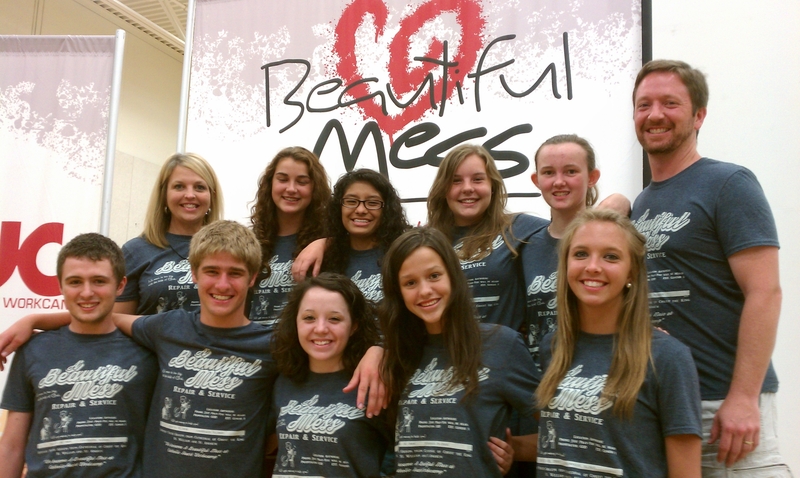 The theme to the camp this year was, “Beautiful Mess. It Is. We Are.” This speaks to how the world we live in is a complete mess. It is full of sin and temptations in all shapes and sizes. And unfortunately, we fall into the messiness of sin often. The world is also full of disaster and heartache. Just ask someone who just lost their home to a fire or ask a wife who just lost her husband to cancer. Sometimes things just don’t make sense. However, it is how we react to these messy moments that ultimately defines us. We can choose to surrender to the world and give up. Or we can choose to surrender it all over to God. It is in these messes that our faith grows even if we don’t immediately realize it. From the 2nd reading today, Romans Chapter 8, “I consider that the sufferings of this present time are as nothing compared with the glory to be revealed for us.” Our actions and reactions to the messes of the world is how we find beauty in ourselves. Another great thing about going to CHWC is listening to the powerful stories from the many presenters. I want to share with you a story I heard from a priest at a CHWC I attended 3 years ago. Realize that this story was geared towards teenagers, so I apologize in advance! Believe it or not, this story speaks to the parable of the sower in today’s Gospel. 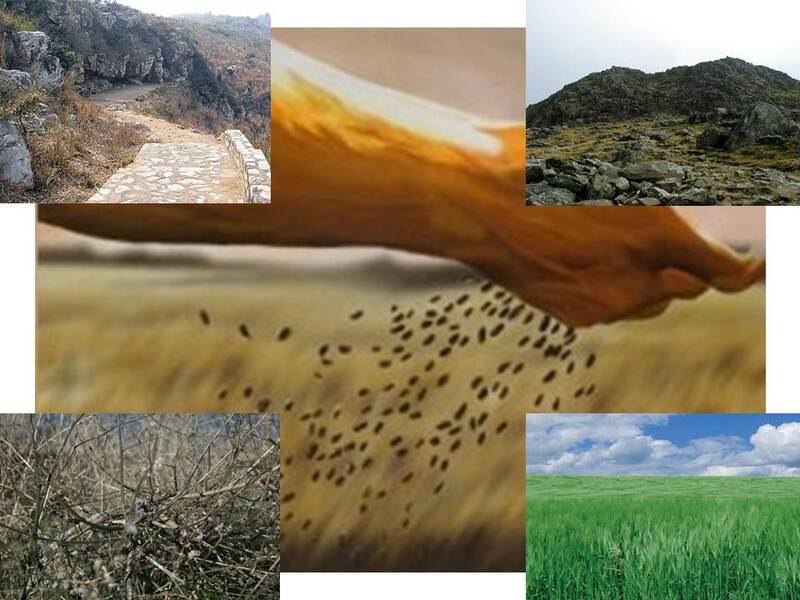 According to the parable, there are four paths where the seeds God sows can land. First, there’s the path where people don’t understand God’s word and quickly fall away. Second, some understand God’s word on a superficial level but have no roots, no depth. These are the ones who quickly get angry with God as soon as things get messy. Third, there are the ones who allow the temptations of the world to choke out their faith. These paths are the ones we want to avoid and help others walk away from. In order to do this we need to help ourselves and others better understand the faith. We need to develop strong roots so that when trial and tribulation comes our way, which it will, we will not be blown away. We need to resist worldly desires that choke out and damage our souls, no matter how much pleasure they appear to bring at first glance. The father in my brownie story was trying to keep temptation away from his two sons. He was trying to keep his sons on rich, fertile soil so they could develop strong roots. Let us strive then to uproot the thorns of the world, remove the rocks that block us and get off the shallow soil. We need to strive for the fourth path in life, the one with rich soil so that we can bear much fruit for God’s Kingdom. I must however warn you. This is probably the hardest path of the four. It takes parents saying “no” to their kids from time to time like in the story about the brownies. It takes walking away from friends that are not good influences on us. It takes giving up sin and addictions that destroy our hope for salvation. It takes serving others and putting their needs ahead of our own like at CHWC. It takes forgiving others and loving them as one of God’s children. But here’s the good news…if you continue to cultivate this lifestyle, it is in this rich soil that God will transform our messes into beautiful messes!